In this post I’ll be introducing minna-san to PIKO! 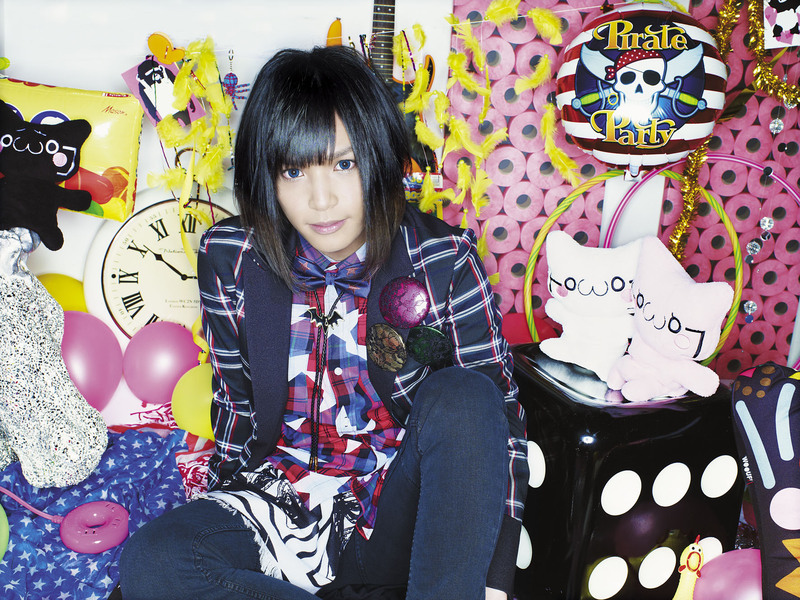 He first started singing in 2007 when he started uploading vocaloid music covers on Nico Nico Douga. He’s a trap singer which means 「両声類」”ryouseirui”. That means Piko is a Guy okay~ ^^ Many have mistook him to be a girl due to his ability to do both guy and female voice range. In 2009 he debuted as a independent singer which he later was signed under the contract of Ki/oon records, a sub company of Sony Music Entertainment. To date he have sang various anime songs like “wasurenagusa” (勿忘草) from the anime Letter Bee, “Sakurane” (桜音) from the anime Yorinuki Gintama-San and “Make My Day” from this season’s anime Binbogami Ga (貧乏神が). 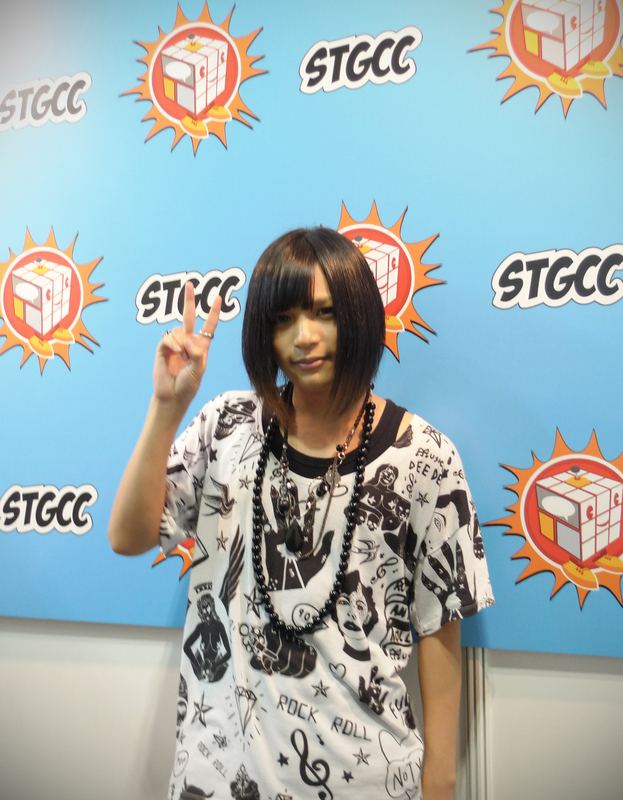 Alright I shall now present you Piko’s Interview At STGCC 2012!! Piko Interview STGCC DAY 2 Sunday September 2. When did you first discovered about your vocal abilities? I have been on this career for almost 4 years now whereby around one and a half years was in nico nico douga where i uploaded my Vocaloid music covers. It was then where many comments on nico nico douga had reflected about my vocal abilities. That was when I realised I actually have this kind of vocal abilities. How did you felt when many people thought you were a girl because of the female voice range you use? Initially, I was quite surprised about what people thought of my voice because I was just using my normal voice to sing. Then I realised I could use this ability as a special traits, a special kind of singing style that is uniquely Piko. Do you prefer using your female voice range or male voice range? I like both but the range that is easier and more comfortable for me is my lower voice range. What kind of environment do you work in when you start writing lyrics? Listen to any music? Usually when i start writing lyrics it will last from the night till next morning so I would have lots of tidbits and soft drinks on my table, just beside my PC. Everything that I would want to do or need to do would be done before I start writing. This question is from another fan. She asked, who was the one who choreograph the “ Make My day” PV? Did you gave any ideas? The general settings were pre-planned but the details and contents was everyone’s (crew) Idea. What’s Your All time favourite Vocaloid Songs? If you were not a singer, what would you have become? What do you wish to be in your next life time? What’s Your hobby other than singing? Dragon Ball Z and Gintama. The first thing that you do when you get home? Things that you want to see in Singapore? Merlion~! But it’s on holiday so i would loved to see it during my next visit to Singapore! What food have you eaten in Singapore? How was it? Curry, Hamburger, Curry, Curry, Chilli Crab! I’ve gone to Taiwan, Hong Kong but this is my first time in a Southeast Asian country. The things here are slightly cheaper and its a beautiful country. The whole place gives of a very lively and theme park feel so it’s like a fun place to be in. It’s a very different place compared to Japan. Anything that you would like to tell your Singapore fans? There You Go! Piko’s interview! Remember he hopes to hold a Solo Live in Singapore so if you would like to catch Piko’s Fantastic ability to switch vocals or simply Just love his music you gotta continue to support this amazing singer! This entry was posted in Events, STGCC and tagged anime, J-pop, Nico Nico Douga, Piko, SME, STGCC, Vocaloid. Bookmark the permalink. 1 Response to PIKO Visits Singapore For Singapore Toy Game Comic Convention!